We are excited to bring you the new EP from Jon Sweetname. 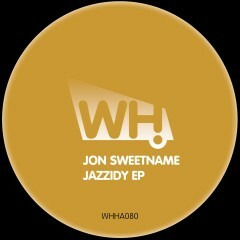 The first track is a deeper house affair with strong influences of jazz as the title reveals. The second track is called Proyecto Diez and is build upon a seductive vocal hook that sticks to your mind on first listen. Jon cleverly adds a playful synth that takes it up a notch.